StressAce is a technique that helps you deal with stress intelligently and instantly. We all have stress at some level ranging from mild dissatisfactions and frustrations to life-changing catastrophes. 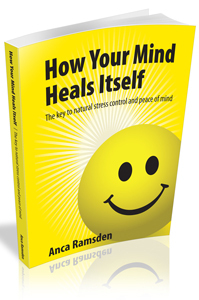 StressAce was developed by clinical psychologist Dr Anca Ramsden in 1990. Stress is the reaction we have in our body and mind when we feel threatened in some way. This is what makes us produce adrenaline so that we have the energy to fight or to flee. Under extreme stress we go into the freeze state, which makes us feel dazed and immobilised. This stress reaction is always the same, no matter what is causing the stress. Whether a danger is real or imagined, we will still have the same stress reaction. The reason stress is so difficult to control is that our stress reactions are automatic and we only have partial conscious control over them. 3. How does the technique work? StressAce works directly on the fight, flight and freeze stress reactions and also uses physical movements. This ‘mind and body’ approach is very effective in releasing stress and balancing the nervous system because it matches the way in which we naturally respond to stress with our body and mind. The main benefit of StressAce is that it gives us more control over our reflex stress reactions. 4. My situation is unique will it work for everyone? Yes. StressAce will always reduce stress, no matter what the cause, no matter the mildness or severity. The technique is helpful to everyone who wants to cope better with stress. 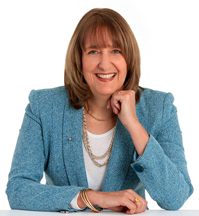 Anca Ramsden, a clinical psychologist who has been in practice since 1981. She developed StressAce, a technique for reducing stress that is useful for adults and children. She offers StressAce consultations and workshops, trains professionals in this method, conducts research and speaks on the topic at conferences. StressAce can be used in different ways depending on the goal and time frame. The technique works as a single session to immediately reduce stress for a specific task or project. There are four, six, twelve or eighteen session options to manage shock, chronic stress and build long-term confidence, stress resilience and intelligence. To experience StressAce book a consultation. The first session is to set goals and learn the technique from a selection of programmes that cater to your specific needs. Most of the work is covered in the session and there are a few take home exercises to ensure stress levels are reduced. 8. What about me – I don’t want a talking therapy? StressAce is ideal for you. This is not a talk-style therapy and there is no requirement to explain yourself or talk about issues unless you want to. The technique is a body and mind stress release method that does not rely on discussion and explanation. 9. What about me – it’s embarrassing and difficult to talk about? StressAce is not a talk-style therapy. Some people don’t want to talk about their situation or they find it difficult, embarrassing or they’re just not ready to articulate the issues. The technique is focussed on mind and body skills to lower stress levels and provide ways to cope with difficult situations. 10. I just want my stress fixed now? StressAce lowers stress levels immediately. Only ten to 15 minutes of StressAce gives notable relief from stress. The technique focuses on stress relief rather than problem solving or counselling and works to clear mild surface stress, chronic stress and traumatic stress. 11. I’m too busy to attend sessions, what can I do? There are many options. You can easily learn how to use StressAce Self Help to lower your stress levels every day. Telephone and Skype sessions are also available. 12. Is StressAce useful for a one-off performance? The technique is particularly beneficial as mental preparation for important achievement events, like exams, sports and public speaking. All people, irrespective of eduction and ability, and all ages, children through to adults. It is particularly useful for high-achieving adults who want to control stress and improve their performance. It is also used for managing stress related to trauma and conditions such as ADHD, depression and anxiety, learning difficulties and other mental issues. 14. Can I do it myself? Yes, you can use StressAce Self Help to lower your stress levels and you can also use the technique as mental preparation for important achievement events, like exams and public speaking. 15. Where do I find someone to help me? or click here to email us for someone to contact you. 17. Is there a medical rebate? You may be able to claim a rebate from your private health fund or government health fund (e.g. in Australia, Medicare) if your consultant is a health professional, such as a medical doctor or a psychologist. Conditions may apply. 18. How do I get training to become StressAce consultant? We have training programs for education consultants, corporate trainers and health professionals. 19. Is there a workshop for my staff/group? Yes. We offer a range of workshops for interest groups, teams, staff groups and corporate groups at all levels. Workshops range from short two hour sessions to one day and longer events. 20. Is there something for children/teenagers with behavioural problems? StressAce is ideal for children and teenagers with stress issues such as bullying, coping with exams or behavioural problems. You may wish to start with booking StressAce Personal consultations to assess your child’s needs. 21. What about couples experiencing stress? StressAce can be very helpful for couples experiencing stress in their relationship, especially when the couple is unable to make progress solving their conflicts or cannot move forward on important decisions. When talking no longer works StressAce can pave the way to a stress-free relationship. 22. What about relationship stress – professional and personal? When it comes to both professional and personal relationship stress, StressAce is the perfect starting point; the techniques are easy to use and incorporate into the home and workplace to immediately and effectively reduce tensions. Once everyone is more relaxed and agreeable, it is easier to solve the causes of relationship stress and implement good communication skills. 23. Our family is having a terrible time. Can the family benefit from StressAce? StressAce is an excellent method for any group, including a family, to lower stress levels and improve relationships. Our experienced StressAce consultant can help you define the problem and develop the solution. 24. Where can I read more on StressAce? 25. Are there any other rebates available? You may also be able to claim a tax rebate on professional development and training. This may vary depending on the tax laws in your country. 26. How can I contact the StressAce team?